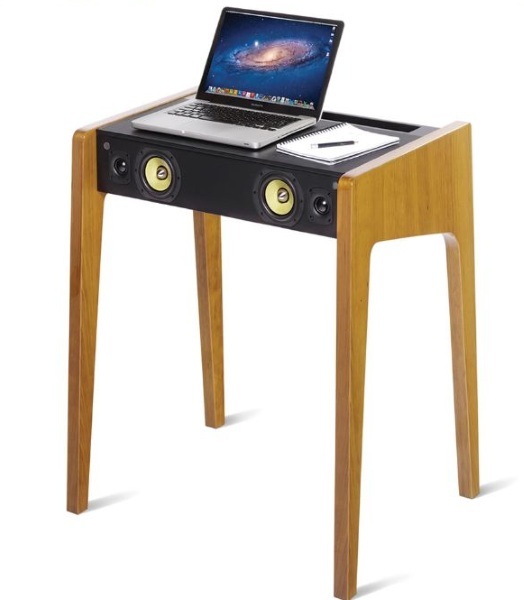 Most people would probably just buy a nice set of speakers and be done but if you’re short on space or just like the idea of compact multiuse systems, this desk has got you covered. The desk itself is not very large, really only enough space for the aforementioned laptop and maybe a small notebook or coffee cup. But the real star of this desk is the speakers. That are built right into the desk. The laptop plugs into it via USB and once you’re all set up, the sound is converted into uncompressed music files to give you the clearest sound possible. If you’re into that sort of thing. This speaker system is far superior to what comes with the laptop or even to what you’re likely to buy for yourself. But it’s also a pretty sweet small space desk with sturdy legs and a stylish finish. Of course, I can’t imagine anyone actually sitting at this while it’s pumping sound out. 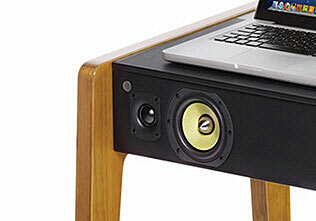 The Audiophile Laptop Speaker Desk is $2,300.